A 5 days Andes Trek in the provinces of Cotopaxi, Chimborazo and Tungurahua. From 3 up to 10 participants. 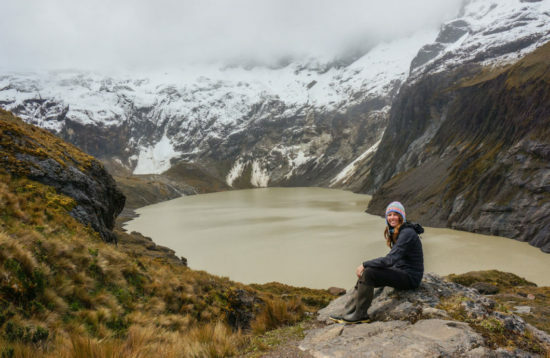 All about the Discover the Ecuadorian Andes Trek. We will be staying at comfortable tourist class hostels or campsites (basic services). This program is designed for the adventure and nature lovers, who enjoy hiking and learning about foreign ancestral cultures. 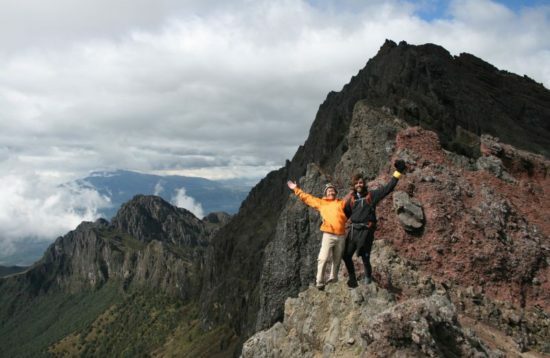 Trekking is organized to combine physical activity, while you will be discovering and enjoying the Andean scenery. 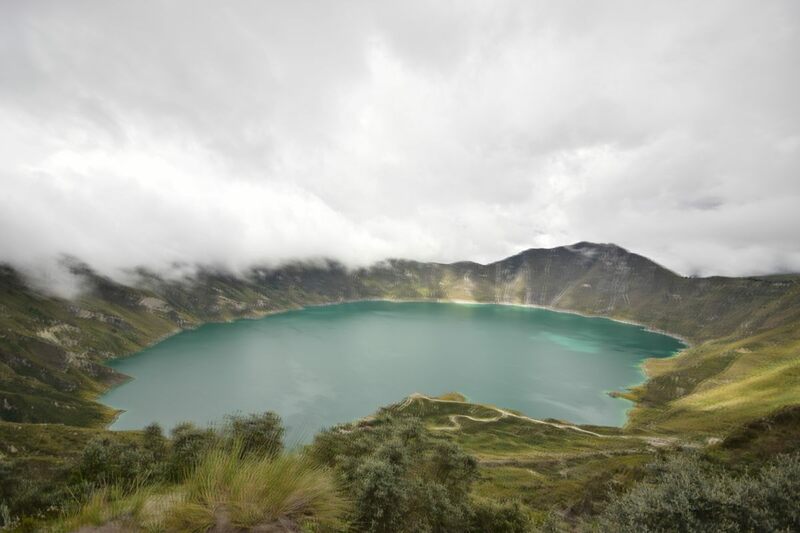 We have taken into consideration 4 of the most attractive tourist places in Ecuador as well as the most interesting hikes. Entrance fee to Indian communities. Overnight in hostels and/or huts. Bilingual guide (English, German or French). Entrance fees to National Park. Personal equipment (wind jacket, trekkingshoes, hat, etc.). Day1 Day 1 Quito – Cotopaxi. Trek Boliche – Limpiopungo. Overnight in tents. Day2 Day 2 Cotopaxi hut – Quilotoa. 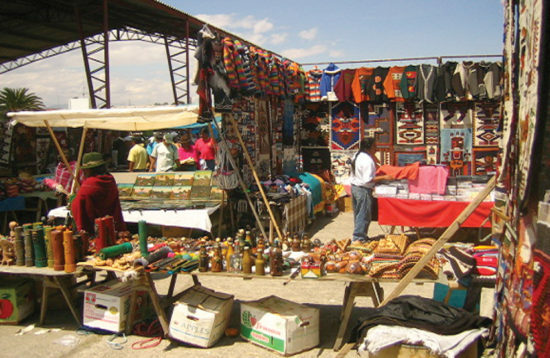 After breakfast, visit to the refuge and its whereabouts, in the afternoon transfer to Quilotoa. Overnight in a hostel. Day3 Day 3 Toachi Canyon Trek. 4 to 5 hour hike to enjoy this breathtaking scenery and its Indian population. Transfer to Chimborazo’s foothills in the afternoon. Visit to hot springs. Overnight in tents. Trekking to the Refuge 5.000 mts. Visit to “Las Agujas de Chamonix” (5.200mts). Afternoon, transfer to Baños City. Overnight in a hotel. 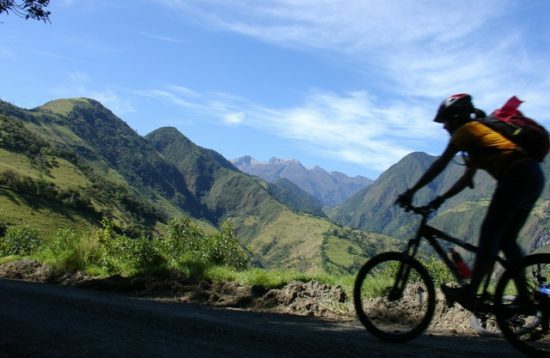 Visit to Baños and its beautiful natural environment (horseback riding, biking, motorcycle riding [optional]). Afternoon (about 14:30) transfer to Quito.